The New York Public Service Commission (PSC) has approved new electricity rates for cryptocurrency miners in Upstate New York. In a press release issued by the New York PSC, high-density power consumers like cryptocurrency miners under the Massena Electric Department will pay new utility rates. 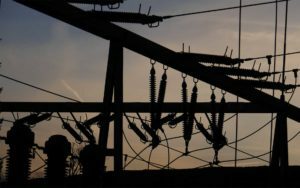 The new rules approved by the New York PSC aims to protect existing electricity customers while at the same time encouraging miners from setting up shop in the area. As part of the new plan, cryptocurrency mining operators will be able to negotiate with municipal power authorities in the area. By so doing, utility companies can review the energy demands of miners individually to come up with suitable contracts for each cryptocurrency mining facility. To qualify for this new rate, miners must exceed a demand of 300kW and a load density of 250 kWh per square foot per year. Also, they must provide proof of benefits attached to their consumption. The new directive is an economic development assistance package that virtual currency miners in the area can enjoy. As part of our continuing effort to balance the needs of existing customers with the need to attract new companies, we must ensure that business customers pay a fair price for the electricity that they consume. However, given the abundance of low-cost electricity in Upstate New York, there is an opportunity to serve the needs of existing customers and to encourage economic development in the region. One significant upside to the new electricity pricing policy is that it does not affect the rates paid by existing customers. Cryptocurrency miners and other high-density power consumers in Upstate New York that do not meet up with criteria will be placed in another pricing category. Thus, existing customers are shielded from being made to pay a premium on electricity in an area that has one of the lowest utility tariffs in the United States. The new plan comes into effect on July 17, 2018. Since the beginning of the year, cryptocurrency miners have been trouping into areas in Upstate New York looking to take advantage of cheap power and favorable climatic conditions. However, municipal power authorities weren’t best pleased with the development fearing that their power resources could become stretched. In March, the New York PSA authorized power authorities in the upstate area to introduce premium tariff rates for cryptocurrency miners. With this new pricing plan, however, miners can rest easy now that they know where they stand. Should other states that play host to significant cryptocurrency mining activities adopt the decision by the New York PSC? Keep the conversation going in the comment section below. The post New Power Rates for Cryptocurrency Miners in Upstate New York appeared first on Bitcoinist.com.